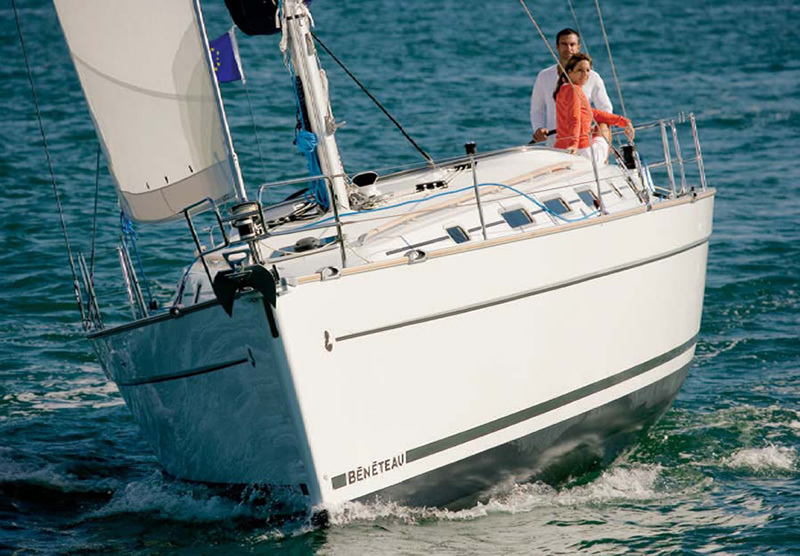 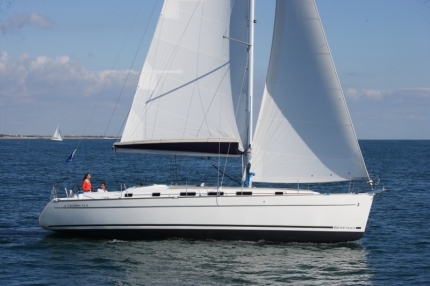 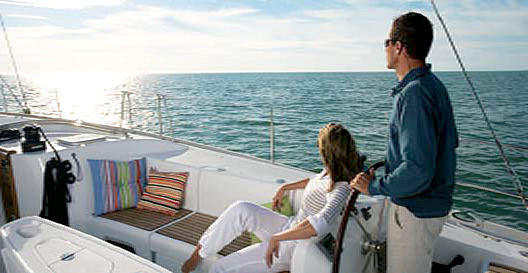 Choose the wide and comfortable Cyclades 43.4 for a sailing holiday with many friends. 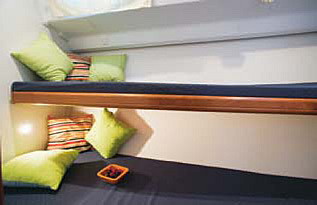 Leave the city and the daily stress behind and climb on a sailing boat for an holiday, a minicruise or a week end. 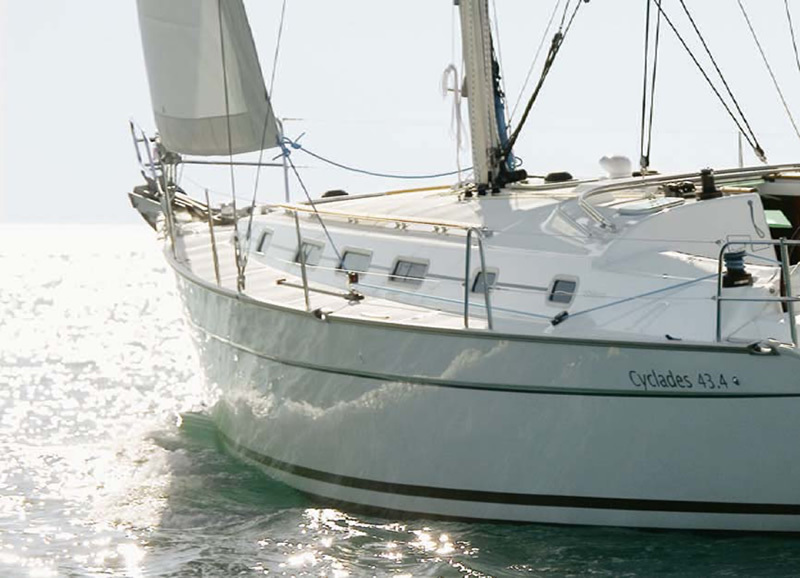 Mediterranean Charter Sud suggests to charter the Cyclades 43.4 to reach destinations in the long and medium range (Aeolian, Neapolitan and Pontine Islands). 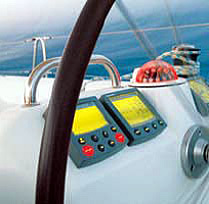 A cruising sailing boat with twin steering wheel to improve comfort in navigation, with genoa winch near the helmsman, with tools support on the cockpit table and on the console of the helm station, everything is designed to make the maneuvers extremely simple. 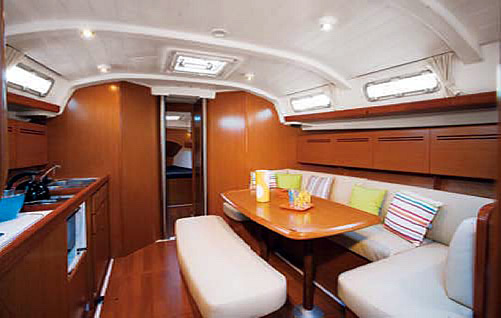 The Cyclades 43.4 is a sailing boat expressly built for the charter, in fact it is provided with huge spaces both internal and external and it is equipped with sunbathing cushions to allow up to 8 people to relax in the sun.